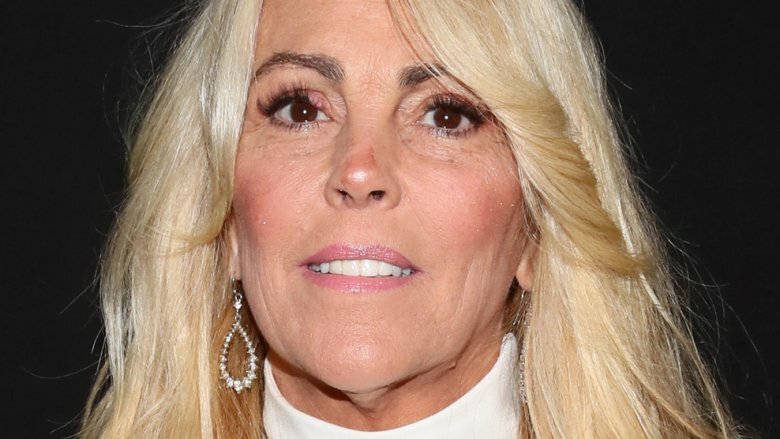 Actress Lindsay Lohan's mother, Dina Lohan, has some people — namely, her Celebrity Big Brother castmates — worried that she's being catfished. On an episode of Celebrity Big Brother that aired on Thursday, Feb. 7, 2019, Dina Lohan opened up to fellow house guest and The Real Housewives of Atlanta star Kandi Burruss about her romantic life. "I can't wait to tell you about this guy. I've been talking to him for five years. Like, every day. A lot," Lohan began. "I feel like I know him. You know when you talk to someone on the phone, like you feel like you know them?" But despite their alleged connection, Lohan and her mystery man have never actually met in real life. Lohan explained that she's based in New York, while her boyfriend lives in San Francisco where he cares for his mother. After Burruss made a face expressing disbelief when Lohan said they "will" meet, Lohan, 56, said, "I swear to you he's real. I swear, it's crazy. But I'm going to marry him." She added, "It's really, really true," noting, "I talk to his mom!" Lohan later told Burruss and castmates Tamar Braxton and Natalie Eva Marie that her boyfriend "doesn't use" FaceTime, sparking Braxton to exclaim, "Lies!" Braxton even offered to go with Lohan to meet him. If Lohan indeed married this boyfriend that she's yet to meet, it'll mark her second marriage. As noted by Us Weekly, she married daughter Lindsay's father, Michael, back in 1985. They later divorced in 2007. Lohan and her ex-husband share four children together: Lindsay, Michael Jr., Aliana, and Cody. Hopefully Lohan will meet her boyfriend sometime soon — and take precautions, as Braxton and Marie suggested, by bringing a friend along. Or maybe Lohan can meet up with her man at her famous daughter's Greek club and the whole thing can be documented for fans on MTV's Lindsay Lohan's Beach Club. Just a thought!